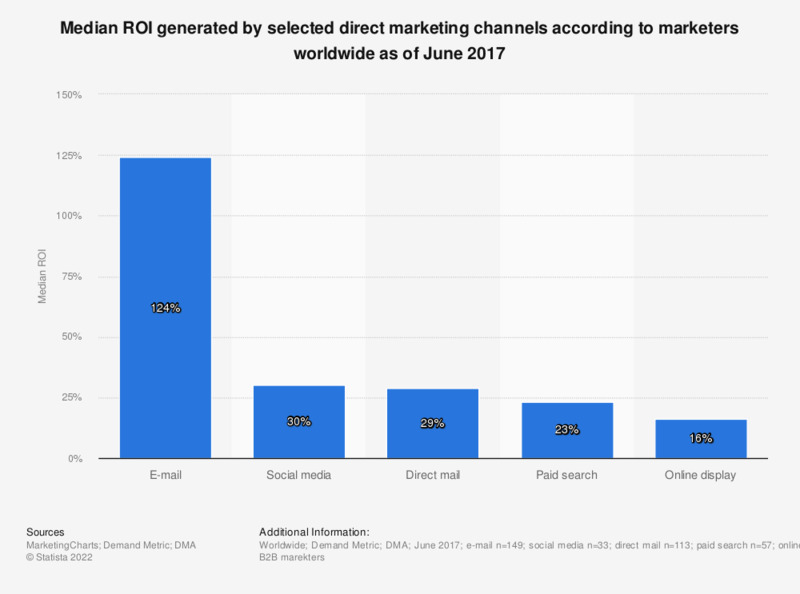 The statistic presents information on the median ROI generated by selected direct marketing channels according to marketers worldwide as of June 2017. It was found that e-mail marketing generated a median ROI of 124 percent according to marketers using this channel. At the same time social media marketing was believed to generated a median ROI of 30 percent.